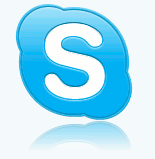 This Post – will help you in installing Skype on Ubuntu 10.04.If you are familiar with SHELL then just type a single command to install skype otherwise you can also install it from Synaptic Package Manager or by manually download – then install with Debian Package Installer. Skype is a simple software which enable you to make free calls(Audio,video and conference ) over the Internet by using VoIP protocol.It is available for all platform i.e you can use it from Ubuntu,windows or MacOS.It is very simple to use and graphical interface is also very user friendly with a lot of advanced features.You can also send text message instantly and file transfer is also supported.One more amazing feature is that you can also share your desktop with your friends.At this time skype 2.1 beta version is available for Ubuntu 10.04 so you can install it either by using synaptic package manager or by downloading it from the skype’s website(Link is given below). You can also install it after downloading skype from it’s official website. 1.Open Package Manager(System-Administration-Synaptic Package Manager). 2.Type skype in the search box ..then mark the box(skype) to install. 3.Click on Apply to begin the downloading and installation process. 4.Wait for few minutes;When the downloading will finish the installation will begin automatically and will finish within few minutes. Now go to the skype’s official website to register yourself(It’s free).After completing the registration you can use that account details to make calls over the Internet.